Background Info: Located in the Valleybrook neighborhood of Carmel, this 1980s home had a master bathroom that had never been updated. The homeowners were looking for a way to make it more functional. 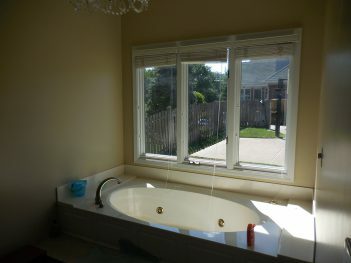 The existing master bathroom was small, and the floorplan didn’t function well for the homeowners. The single vanity lacked proper storage and countertop space. The existing, prefabricated shower was asmall, while the large decked tub dated the space and took up a lot of space, making the room appear smaller. 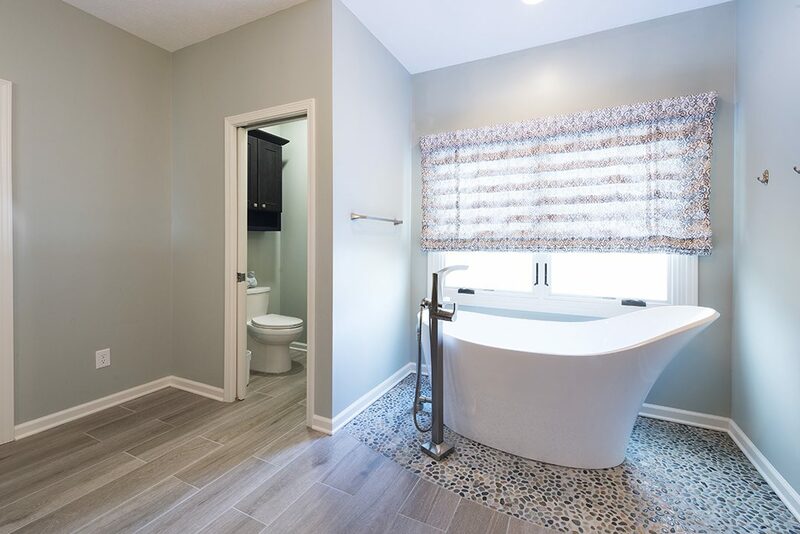 The goal for the master bathroom was to gain square footage and create a functional design for the homeowners to better utilize the space. The first major change came from expanding the bathroom into the master closet, allowing for an open floorplan. 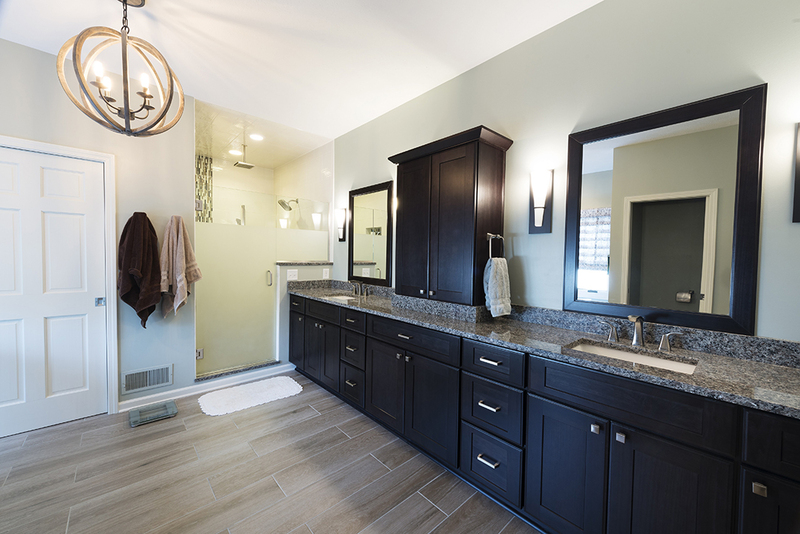 The additional space was used to incorporate a large double vanity with all new cabinetry and countertops. A tower was added between each vanity for additional storage. 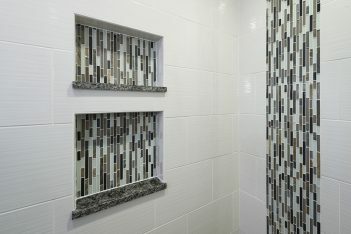 The additional space also allowed for a large custom tile shower with frameless glass and three shower heads. Another large change came from removing the decked tub and replacing it with a free-standing tub. Accent tile flooring around the new tub created a focal point and made the space appear more open. A new lighting plan and new flooring finished off the master bathroom design.